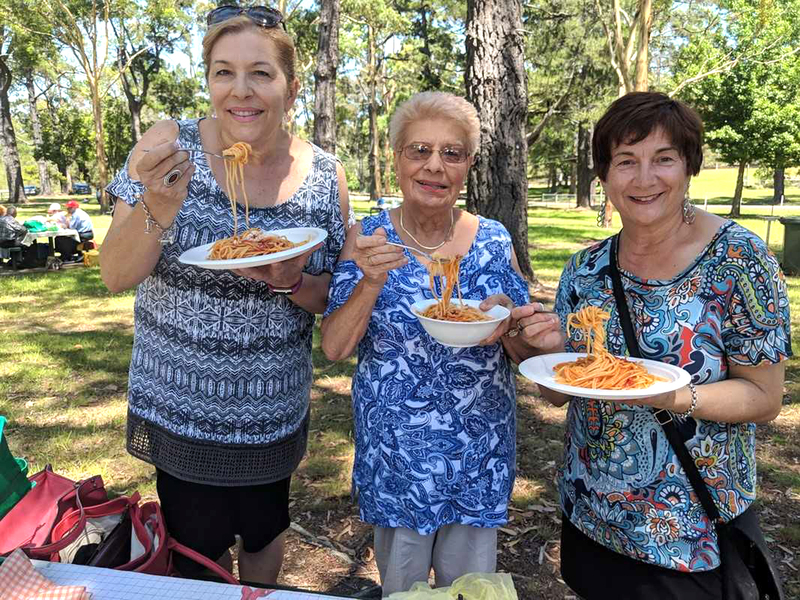 Wollongong’s Association Madonna del Rosario held its annual spaghetti feast at La Cordeaux Dam on Sunday, February 3, 2019, in the midst of a beautiful summer. In anticipation of autumn, the last weeks of summer should be enjoyed as much as possible by staying outdoors! What better way to lift the spirits than a picnic on the green? 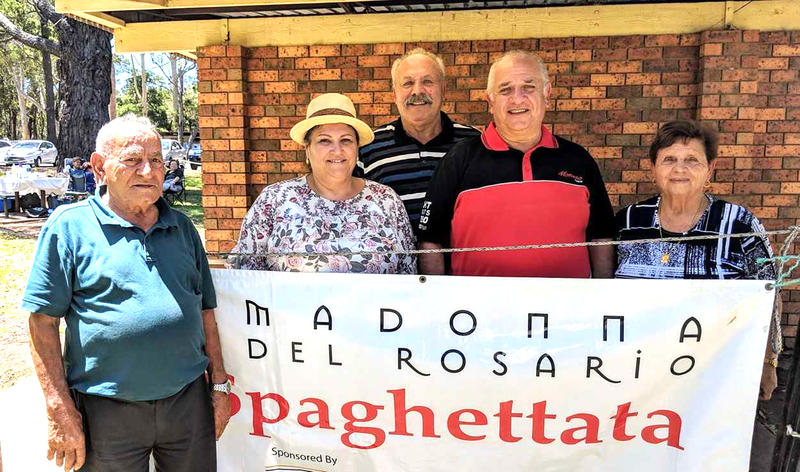 The Calabrian Association Madonna del Rosario of Wollongong has hosted the annual spaghetti feast in the corner of the magnificent park La Cordeaux Dam for many years. This time, the excursionists occupied a good part of the recreation area, with entire families present, who emptied their picnic baskets which were full to the brim with antipasti of different kinds, while the toughest ignited the gas barbeques to begin grilling meat, vegetables and fish. 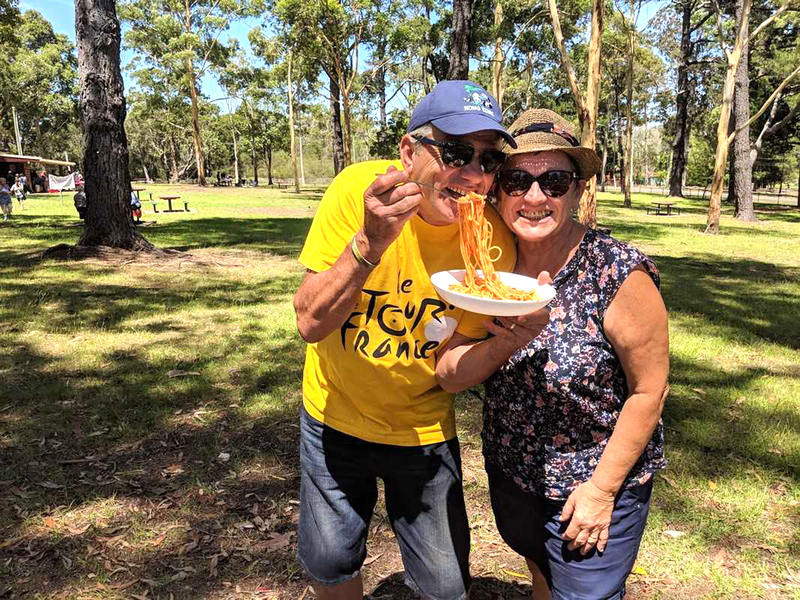 The organisers prepared and offered spaghetti freely to members and sympathisers and whoever happened to be nearby. 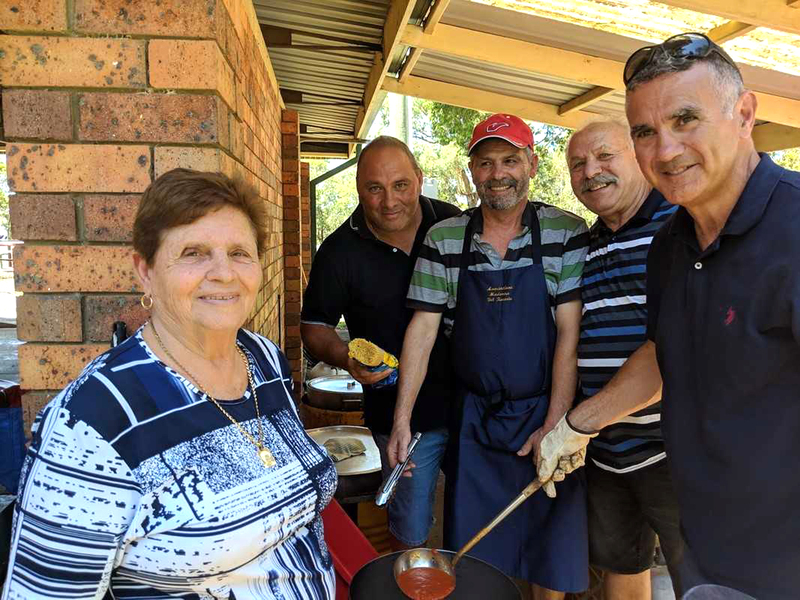 Just as in the past editions, a lot of space was given to the culinary imagination, and the atmosphere of the event brought forth happy memories of the outings to the countryside which took place all over the south of Italy throughout spring. 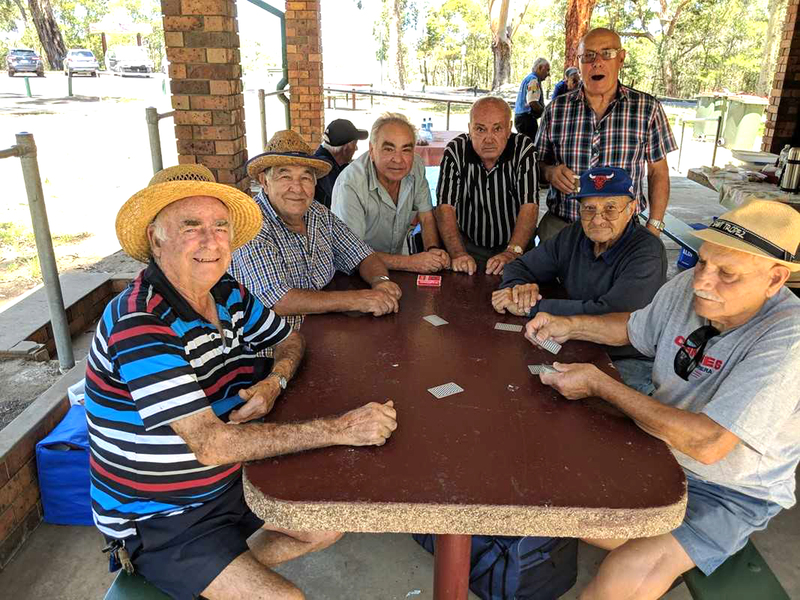 After lunch, there was a briscola competition for the passionate card players, while the lovers of rural music listened and danced to the notes of an accordion, and the little ones enjoyed themselves by participating in games of piñata, a sack-race and tug-o-war. 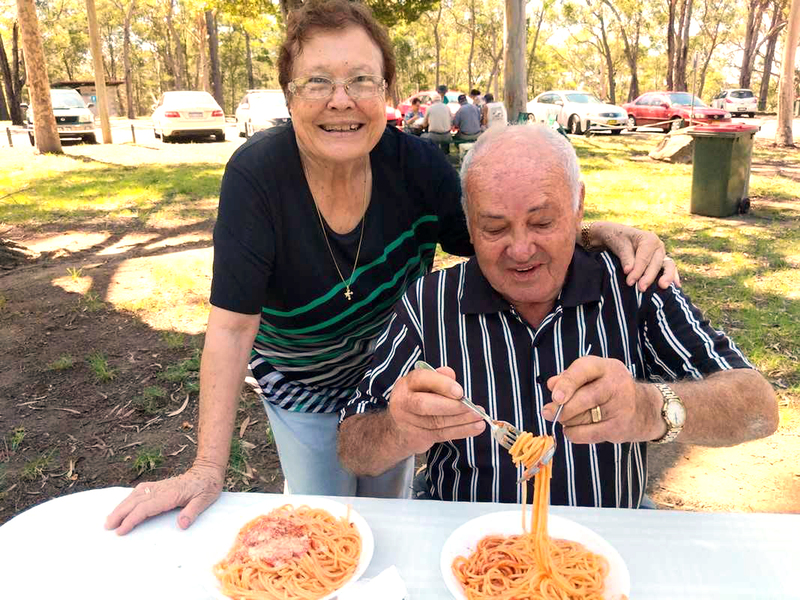 In the late afternoon, after a good many of the women present had been for a lovely walk along the avenue, which leads to the dam which provides the drinking water for Wollongong, the president in charge Frank Gigliotti thanked everyone in the committee for having organised the spaghetti feast, as well as all friends and members, who with their numerous participation in the activities throughout the year contribute to the success of the festival in October, which honours the Madonna del Rosario.